The January 2010 issue of EHS Today, a magazine for Environment, Health, and Safety Leaders, featured a three part series focusing on the importance of a lockout/tagout (LOTO) program. As mentioned in “The Basics of Lockout/Tagout Compliance: Creating an Effective Program”, the following five topics should be looked at to know that your company is doing all that it needs to, to keep your employees safe. 1) A corporate policy – your policy should be written in a way that it is clear and easy for your authorized employees to understand. Not legal jargon, but rather useful, descriptive words that will explain what they actually need to do to comply with the policy. 2) Machine specific procedures – are required for each machine and need to be available for authorized employees. It is only when a machine meets eight criteria set by OSHA that it can be exempt from having a pre-written, machine-specific procedure. 3) Training – required for all authorized and affected employees and it’s expected that this training is kept up to date when changes do occur. 4) Annual auditing – authorized employees and each LOTO procedure must be audited every year to ensure the equipment hasn’t changed and ensure the procedure still is readily available and accurate. 5) LOTO equipment/devices – to ensure that all the needed tools are there to properly lock out your equipment when needed; it will most likely take more than just locks. Nelson-Jameson is able to help you stock the LOTO supplies that are needed to comply with OSHA Lockout/Tagout policies. Give us a call for all of your locks, stations, tags and other safety needs. As a product manager I get to deal with many different stages of the product cycle – from the birth of a new product to the death of a line (deadstock) – and everything that comes up in between. Many of the new products I deal with are direct results of customer feedback. If I hear the same request enough times I go to the vendor to see if making something that fits the customers need is realistic. Sometimes my vendors laugh at my request, jump on the opportunity or sit around while I bug them forever. I’ve been working on some new products and I wanted to give you a glimpse of what is to come. As these items become available, I’ll send out more details. But in the mean time if you have any feedback or specific requests, please let me know. It may just be our next new product. Most food processing facilities these days have metal detection equipment in place. It is designed to detect contaminants from a variety of sources and prevent them from entering the finished food product. Current hazard analysis critical control point (HACCP) programs place emphasis on assuring that no contaminants reach the end user. There are numerous contaminants that can be detected by metal detectors, but one that most people wouldn’t think of is disposable gloves. 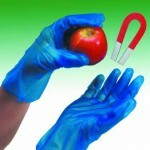 Disposable gloves are used in food processing facilities every day, and the risk of a piece tearing off or even an entire glove getting into the product can be a major concern. 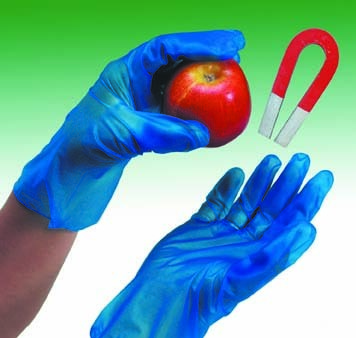 There are no detectors for your average vinyl, nitrile or even latex gloves when they are used in food processing facilities and get into the product. 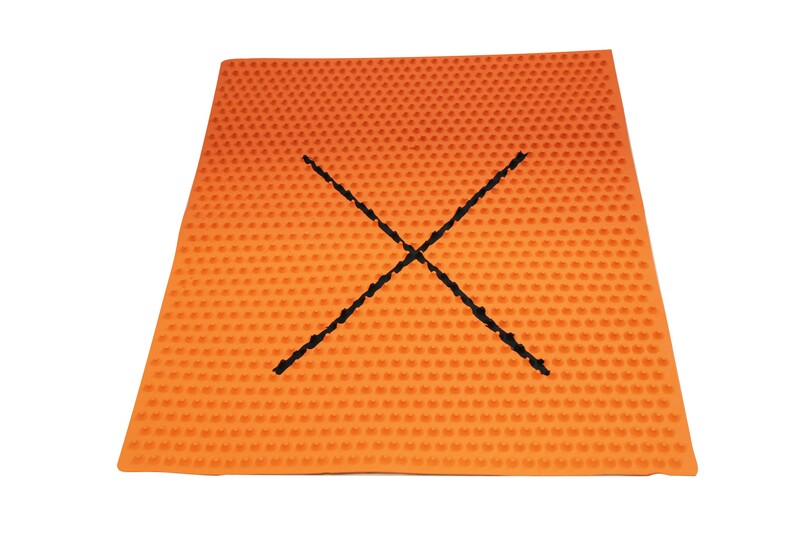 One way of combating the risk of harming your product and in turn losing both time and money is to use metal detectable gloves, along with some sort of metal detection equipment that your product goes through. It’s the fourth quarter on a perfect fall day. Your team has a fourth down and is just inches from the end zone. The energy in the stadium is overwhelming, and maybe they can come from behind to win in this last minute! This doesn’t sound much like a time to be thinking about food safety, right? Well, if you were tailgating before the game without using the proper equipment and proper food handling techniques, it may be a bit too late for you now…the real battle could be coming. According to foodsafety.gov, sports fans should keep a quarterback’s eye trained on food safety this football season. In “Team Up to Tackle Food Safety” Diane Van , manager of the USDA’s Meat and Poultry Hotline, suggests a few basic tools and tricks for keeping your tailgating team safe and sound. Items like a good cooler, meat thermometers, and moist towelettes can do a lot in preventing foodborne illnesses. 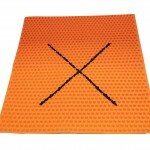 Safe handling of your food includes keeping meat and poultry securely separated from other foods. In the end, make sure to have the proper equipment for every play, and follow the same rules that you would in your kitchen or facility! Nelson-Jameson, a company committed to assuring food safety at all levels has a wealth of materials to help with proper food handling for any occasion. Whether at a football game, in a factory, or in the field, food safety is a goal we can all aim for!